There are many misconceptions about Yoga, amongst both men and women. Some fear that it’s too spiritual, or that they are not flexible enough to begin with. Whereas others negatively associate yoga with a certain type of lifestyle – green juices, vegan food and an Instagram full of postures on the beach. In reality, the western take on this ancient Indian practice now takes so many forms that it is very likely there is a form that works for every ‘body’. We’re big fans of the variety of ways to practice Yoga, as nobody should feel excluded from something that could have benefits for their mind and body. 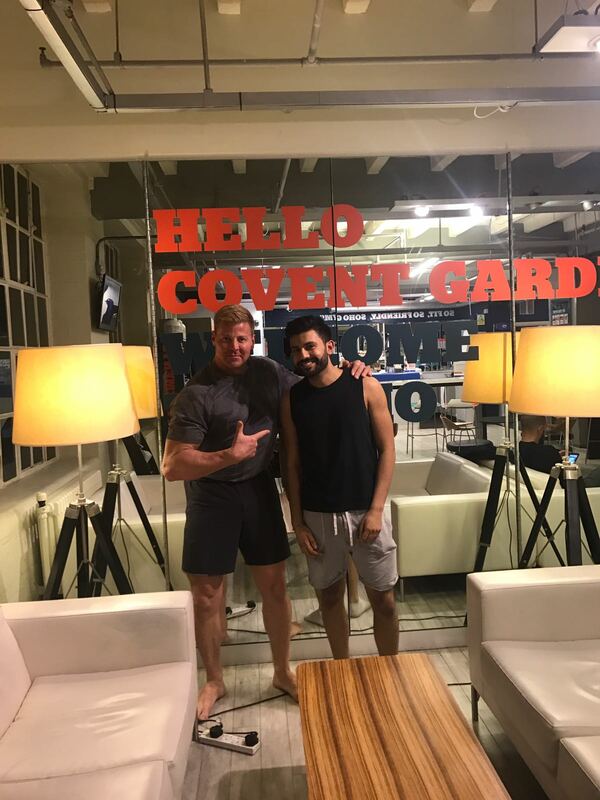 That’s why we were particularly intrigued when we came across ex-American Footballer, Matt Miller and his trademarked Broga® classes – which are now taught all over the world, including right here in London. Broga® describe themselves as smashing the myth that “yoga is for girls”. We must admit this is one of the most common misconceptions we often hear as two young men ourselves. Broga® is about integration and not separation. In fact, 3 out of 5 of the registered teachers are female. Broga seeks to make yoga more accessible for skeptical men and women by adjusting the postures and focusing more on strength in the big muscle groups – legs, back, chest and shoulders and no time spent chanting or meditating. We have done a few classes online and offline and can warn you to expect a challenging physical workout that will have you dripping in sweat afterwards! The classes adapt some of the postures in ways that are often easier to follow, build and tone muscle and reduce the possibility of injury. Matt’s background in sports training and physiology combined with his experience as a yoga teacher has created a workout that we think is quite unique and has the added benefit of leaving you with that slightly pumped up feeling in your muscles as well as the other noted benefits of Yoga – improved flexibility, less stress and better posture. Classes are available various locations in London. Check out this link for the calendar of events. Alternatively, you can try following some of the Broga poses for free at home by visiting their Youtube channel.